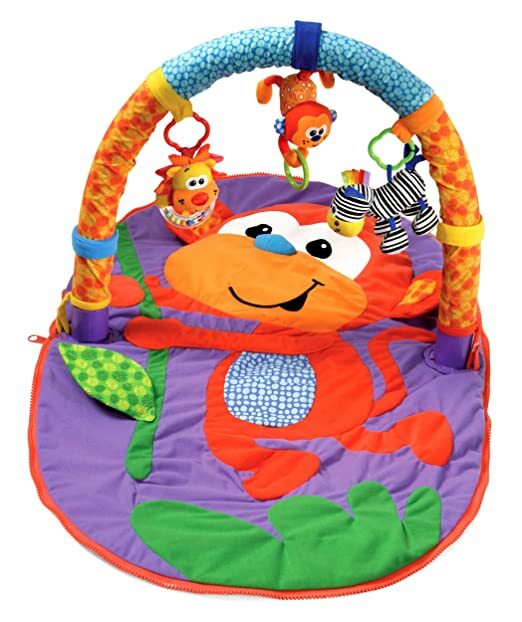 Amazon – Infantino Merry Monkey Gym only $14.75! So cute for baby! Makes a great gift too! Amazon has the Infantino Merry Monkey Gym for only $14.75 (reg $36.99) with FREE Prime shipping or free shipping with $35 purchase! This post contains affiliate links – thank you for supporting Bargain Boutique Deals! *HOT PRICE! 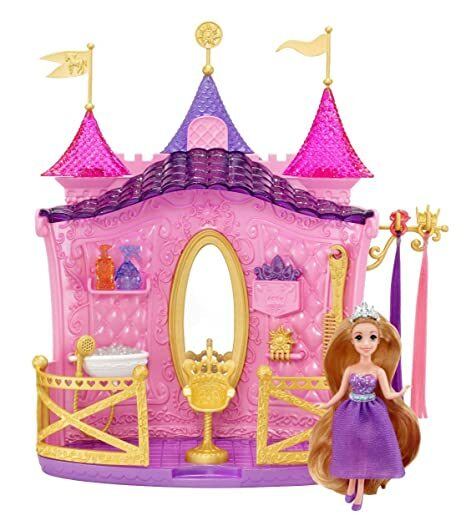 * Amazon – Disney Princess Shimmer Style Salon Playset only $5.50 (reg $16.99)! Awesome price on the Disney Princess Shimmer Style Salon Playset on Amazon! It’s on sale for only $5.50 (reg $16.99) with FREE Prime shipping or free shipping with $35 purchase! *Available Again! * Amazon – Sauve Kids 2in1 Shampoo & Conditioner, Surfs Up 12oz Bottles (Pack of 6) as low as $7.20 Shipped! If you missed it last week, it’s back in stock! Amazon has Suave Kids 2in1 Shampoo & Conditioner, Surfs Up 12-ounce Bottles (Pack of 6) (Packaging May Vary) for as low as $7.20 with FREE shipping when you use Subscribe & Save and have 5 active Amazon Mom Prime subscriptions! 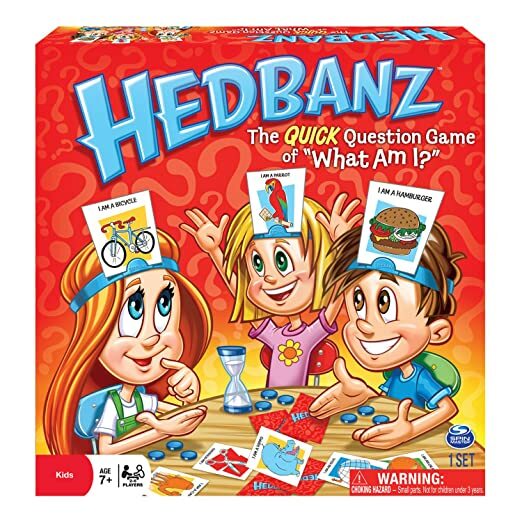 Amazon – HedBanz Game only $8 (reg $16.99)! Amazon has the popular and super fun HedBanz Game on sale for $8 (reg $16.99) with FREE Prime shipping! *HOT! * The Children’s Place – FREE Shipping + 40% Off Your Purchase!! Back to School!! Sale week continues! Take advantage for some back to school shopping! The Children’s Place is offering FREE shipping today 7/29/14! Plus save a much more rare 40% off your purchase! Use code FORTY3 at checkout! Amazon – Scotch Expressions Magic Tape, 3/4 x 300 Inches, 6-Rolls/Pack in Pink for $3.04, Blue for $4.58, or Black for $3.34! 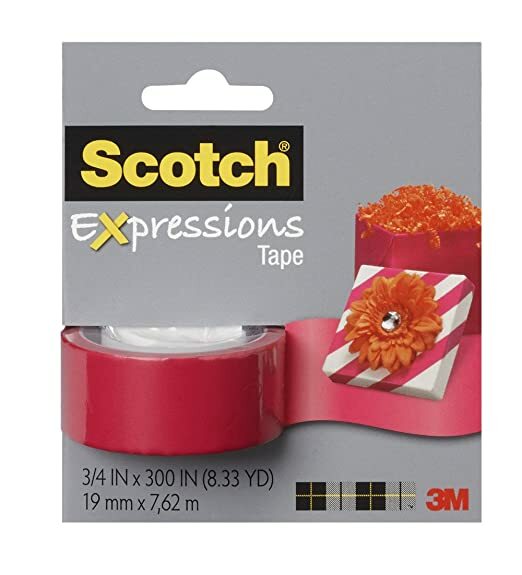 Great for scrapbookers or to jazz up your papers with some fun colored tape! 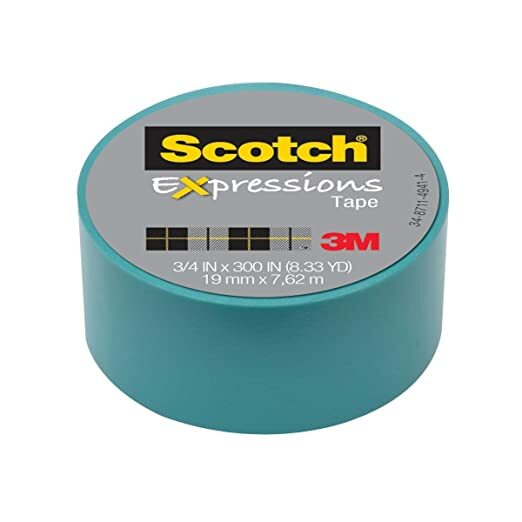 Amazon has Scotch Expressions Magic Tape/ 3/4-Inches x 300-Inches, 6-Rolls/Pack in PINK for $3.04, BLUE for $4.58 or BLACK for $3.34 with FREE Prime shipping or free shipping with $35 purchase. The other colors are significantly higher. 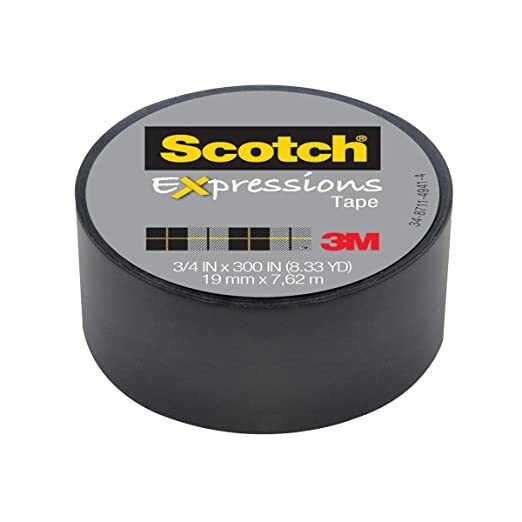 Please be aware that these are for the smaller rolls (about the size of regular scotch tape) and not the large duct tape rolls typically used for crafts. 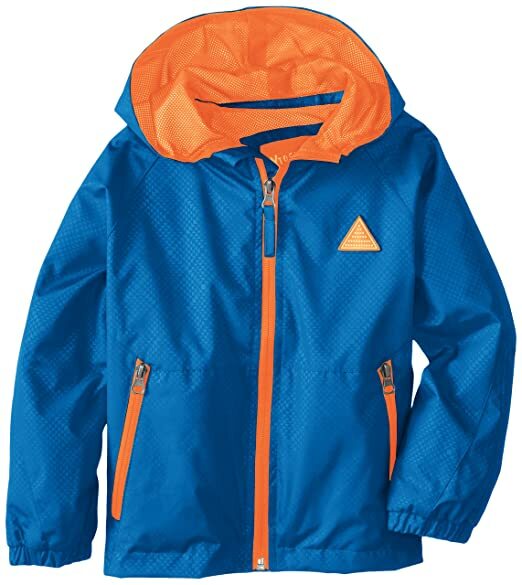 Amazon – iXtreme Boys 2-7 Diamond Athletic Outerwear Jacket (Royal color) only $9.98! If you need a Spring/Fall jacket for your little guy, then check out the iXtreme Boys 4-7 Diamond Athletic Outerwear Jacket on Amazon! It’s available in sizes 4, 5, 6 and 7 in the “Royal” color for only $9.98 (reg $39.99) with FREE Prime shipping or free shipping with $35 purchase, plus FREE returns! Amazon – Trans by Jansport TM60 Supermax Backpack (Blinded Blue Dandy Plaid color) only $24.99! If you’re a Jansport fan (like me! 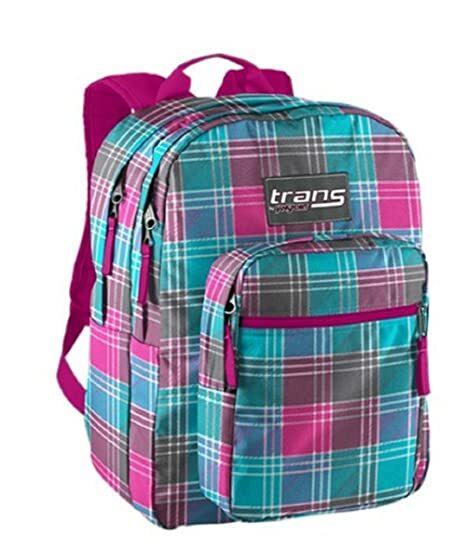 ), then head on over to Amazon where you can score a super deal on the very highly rated Trans by Jansport TM60 Supermax Backpack – BLINDED BLUE DANDY PLAID for only $24.99 (reg $59.97?!) with FREE Prime shipping or free shipping with $35 purchase, plus FREE returns! Exterior Features: Front Zip Pocket, Water Bottle Pocket, Full Support Back Panel, S-Curve Shoulder Straps, Organizer Pocket. •Interior Features: Accessories Pocket, Organizer Pocket, Multiple Compartments, Internal Organizer. •600 Denier Polyester. Water Resistant. Zip Closure. Scooters are one of the best outdoor toys in warm weather, even my toddlers have and love them! 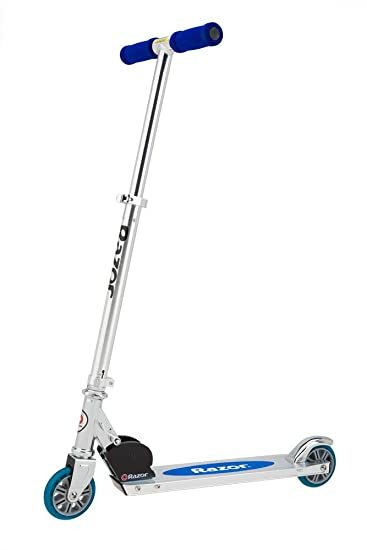 Amazon has the Razor A Kick Scooter on sale for $24.94 (reg $49.99) with FREE Prime shipping or free shipping with $35 purchase! Available in Blue, Pink, and Sweet Pea (with the tassles!) at this price point! *PRICE DROP! 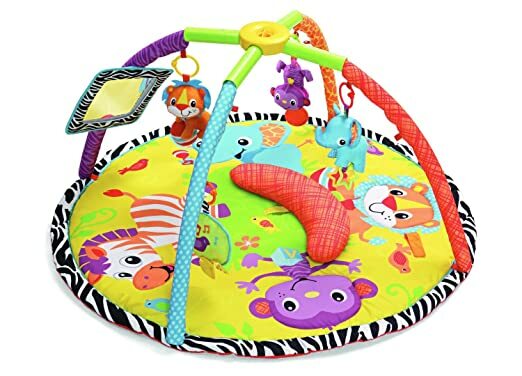 * Amazon – Infantino Twist and Fold Gym, Baby Animals $25.53! Amazon has a price drop on the Infantino Twist and Fold Gym, Baby Animals ! It’s currently $25.53 with FREE Prime shipping or free shipping with $35 purchase. Lots of stimulating fun for baby and also makes a wonderful gift! *GREAT PRICE* BonTon – Shark® Ergolite Steam Mop only $49.97 + FREE Mop Pads & FREE Shipping! BonTon has the Shark Ergolite Steam Mop on sale for only $49.97 (reg $90)! The Shark steam mop whisks away dirt and grime from hard floors by using steam power, eliminating your need to scrub, wring, rinse and carrying buckets of soapy, dirty water. Simply fill the mop with water and it heats up to the correct operating temperature in about 30 seconds. Use code FREESHIP to get FREE shipping as well! Click Here for the Shark Ergolite Steam Mop and Click Here for the FREE mop pads! Great deal! *SALE EXTENDED! * The Children’s Place – FREE Shipping + Up to an Additional 30% Off Your Purchase! The Children’s Place is offering FREE shipping today 7/28/14! Plus save 30% off your $60+ purchase, 25% off your $50+ purchase or 20% off ANY purchase! Use code SAVEMORE3 at checkout! Kohl’s – Sonoma 16pc Dinnerware Sets only $18.74 or LESS (cardholders) or $21.24 or LESS (Non-Card holders)! If you need new dishes, then definitely check out this fabulous Kohl’s deal! Cardholders can use codes POOLSIDE (25% off) and JULY15SHIP (free shipping) to get each set for only $18.74 (plus tax) with FREE shipping!! If you buy 2 sets ($24.99 + $24.99 = $49.98), you can also use code URSPECIAL ($10 off $30+ purchase) = $29.98 for both sets – only $14.99 each!! AND, if you buy 3+ sets, use codes HOMESALE10, LUCKYU, POOLSIDE & JULY15SHIP and get all 3 sets for $37.46 – just $12.48 per set!! AWESOME!! NON Cardholders can use code THANKS1141 for 15% off (instead of POOLSIDE, which is only for cardholders) and the rest of the above mentioned codes! *GREAT PRICE! * Kohl’s – Step2 Sit & Play Jr. Picnic Table only $23.99 (Cardholders) or $27.19 (Non Cardholders) + FREE Shipping!! 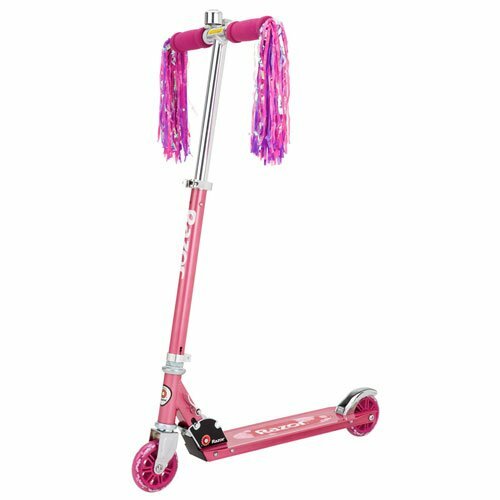 Here’s a hot deal on a popular outdoor toy! Cardholders can use codes URSPECIAL ($10 off $30+ purchase), POOLSIDE (25% off) and JULY15SHIP (free shipping) to bring your cost down to $23.99 (plus tax) with FREE shipping!! Non Cardholders can use codes URSPECIAL, THANKS1141 (15% off) and JULY15SHIP to get it for $27.19 (plus tax) with FREE shipping! Click Here to score this deal! Amazon – Life Cereal, Maple & Brown Sugar, 13oz (Pack of 4) as low as $1.74 per box, Shipped! 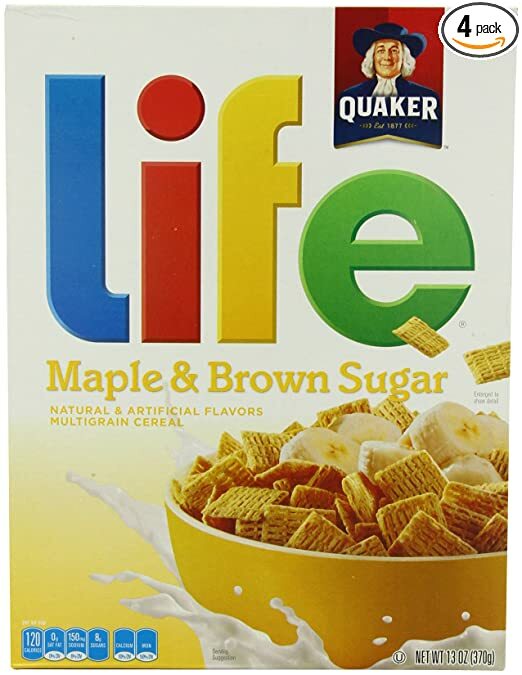 Amazon has Life Cereal, Maple and Brown Sugar, 13-Ounce (Pack of 4) for as low as $6.94 when you use Subscribe & Save and have 5 active Amazon Mom Prime subscriptions! Just $1.74 a box shipped right to your door! Under the OU. 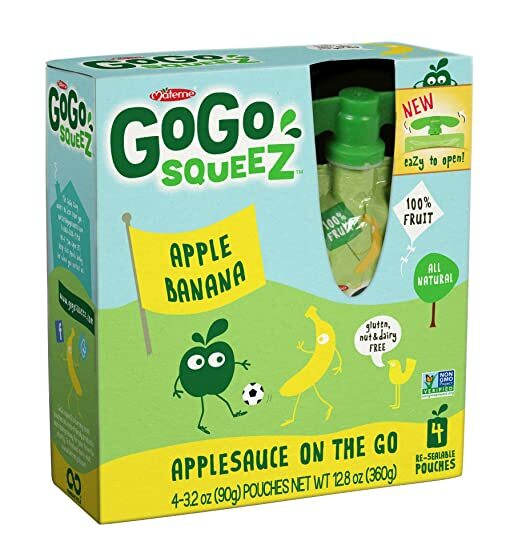 Amazon- GoGo SqueeZ AppleBanana or AppleMango Applesauce on the Go, 3.2-Ounce Pouches (Pack of 48) as low as $.40/Pouch Shipped! 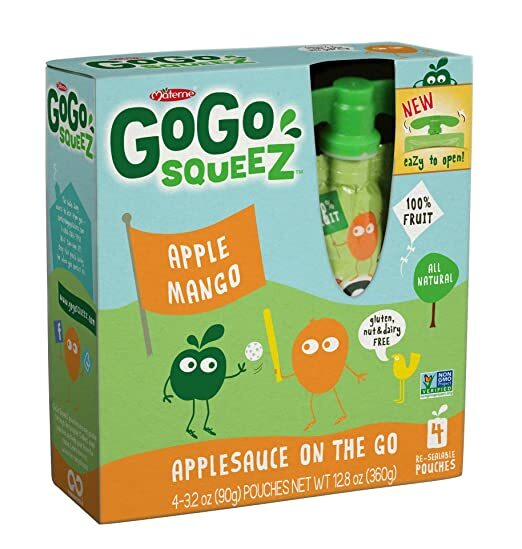 Amazon has GoGo squeeZ Applesauce On The Go, 3.2-Ounce Pouches (Pack of 48) for as low as $19.02 with FREE shipping when you use Subscribe & Save and have 5 active Amazon Mom Prime subscriptions! That’s just $.40 a pouch!! Available in the AppleBanana and the AppleMango flavors at this price. Under the OU. 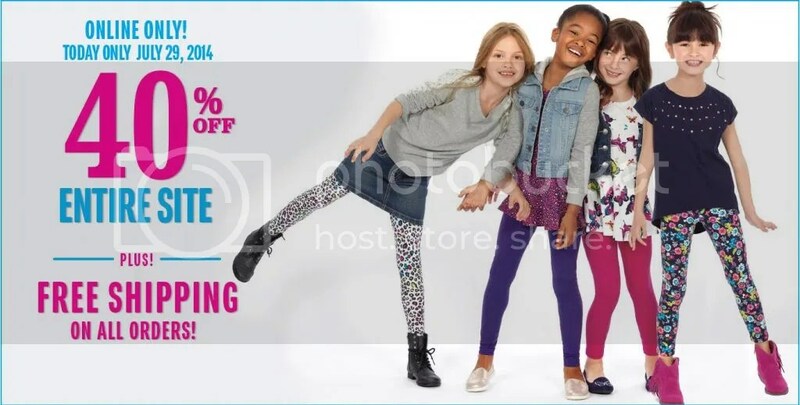 The Children’s Place – FREE Shipping + Up to 30% Off Your Purchase!! The Children’s Place is offering FREE shipping today 7/27/14! Plus save 30% off your $60+ purchase, 25% off your $50+ purchase or 20% off ANY purchase! Use code SAVEMORE3 at checkout! *HOT!! * Kohl’s – Jansport Big Student Backpack only $26.24 (Cardholders) or $29.74 (Non Cardholders) + FREE Shipping!! Cardholders can use codes URSPECIAL ($10 off $30+ purchase), POOLSIDE (25% off) and JULY15SHIP (FREE shipping) to get it for only $26.24 (plus tax) shipped!! Fantastic price!! Non card-holders can use code URSPECIAL, THANKS1141 (15% off) and JULY15SHIP to get it for $29.74 (plus tax) shipped! Still awesome pricing! •Two main compartments provide versatile storage. •Front pocket with organizer keeps electronics handy. •Padded back makes for comfortable carrying. •S-curved shoulder straps offer ergonomic support. •Durable 600-denier construction ensures lasting use. 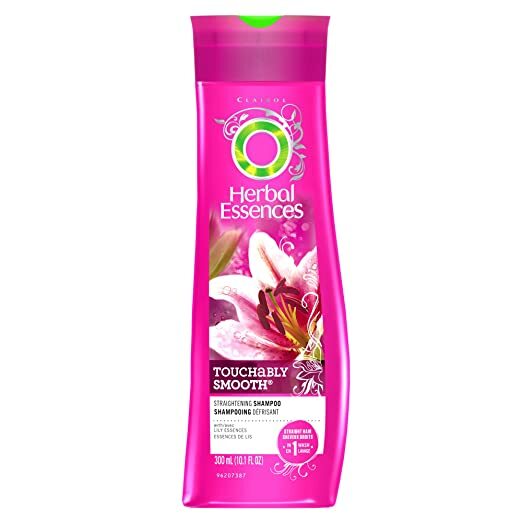 Amazon – Herbal Essences Touchably Smooth Straightening Shampoo 10.1 Fluid Ounce as low as $.89 Shipped! for as low as $.89 with FREE shipping when you clip the $1.50 coupon on the product page, use Subscribe & Save, and have 5 active Amazon Mom Prime subscriptions! WOW, super steal!! HURRY if you want it! 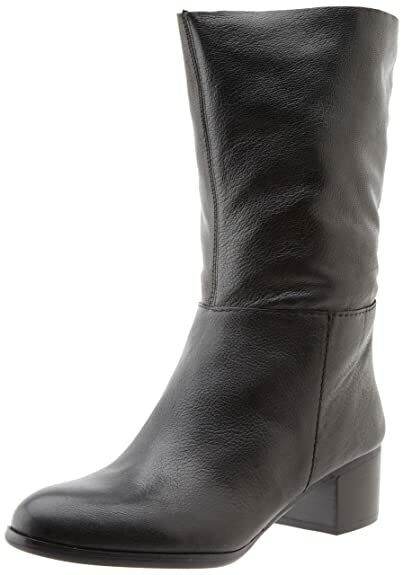 Amazon has the Nine West Women’s Umber Bootie in the BLACK/ZAR color for only $20.14 (reg $139!) with FREE Prime shipping or free shipping with $35 purchase, plus FREE returns! Currently available in sizes 8, 8.5, 9.5 & 10 and going FAST!